I read this after you first introduced me to Slough house. It had slipped my mind- but the tea towel brought it all back 🙂 I am very much looking forward to the pleasure of London Rules – and being reminded of it once again, this time I couldn’t resist and popped over to download. Sometimes it’s just too easy to digitally indulge…. London Rules is so good. I’m sad to have finished it . How can one be sorry to leave such a dirty, shabby building as Slough House, and, particularly to leave the presence of the stinky, sweaty, bibulous , bullying Mr Lamb, someone ‘in real ‘ one would do anything to avoid!? Library, Madame Bibi? 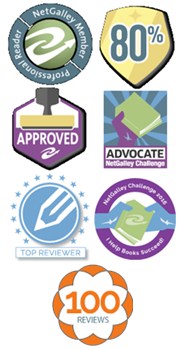 Do you NetGalley? They WERE doing a ‘read now’ on all the earlier books, but I think they may still be on your request. I’ve just finished London Rules and I think I may ‘re read the earlier ones again as ‘comfort familiar’ as I have some exhausting work schedules over the next couple of months and may not have energy for new reading. That’s when re reading an old friend is so welcome. Even if that old friend was only met a year ago! Must string readers along to keep them from abandoning authors, right? Makes me wonder how much of the energies are expended along the way only add to the pressure of producing the larger works. Ah, I see what you’re saying. Sometimes authors created these side pieces to help them flesh out the whole, and to provide a bit of a breather. Makes sense to publish it.